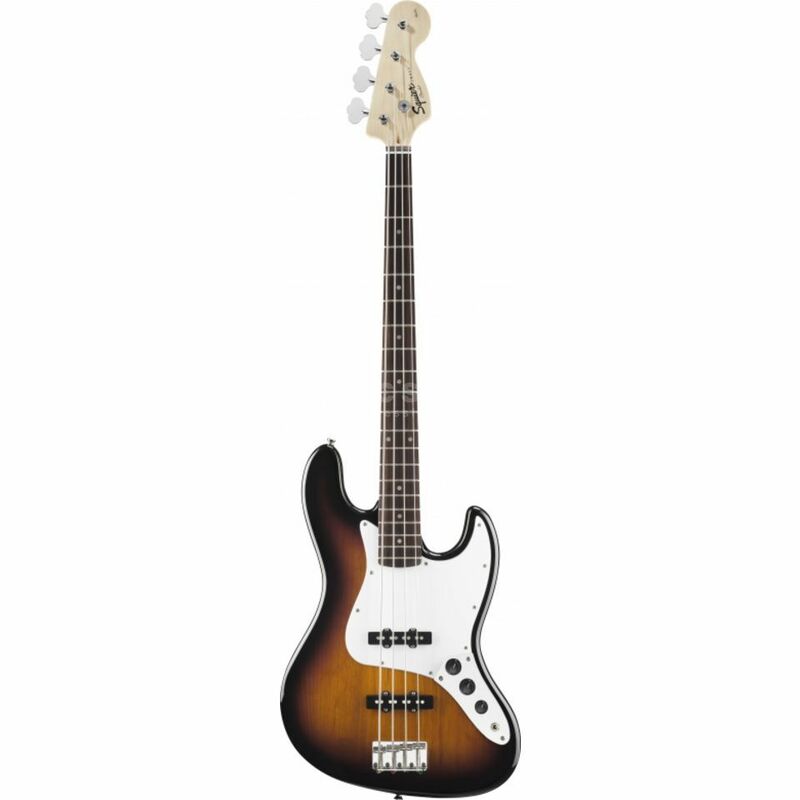 The Squier Affinity Series Jazz Bass 4-String Bass Guitar in Brown Sunburst represents the best combination of affordability and specification available. The Squier Affinity Series Jazz Bass features the same style contoured offset Alder body as its Fender brothers that is accompanied by a 34” scale Maple neck. The neck itself is topped with a 9.5” radius, 20-fret Rosewood fingerboard with white dot inlays and is finished off with the classic 4-inline headstock. This collection of woods and design produces an instrument that is both full of amazing tones and instantly recognisable thanks to its famous silhouette. The body of the Squier Affinity Jazz Bass is fitted with a pair of standard single-coil Jazz Bass pickups and a simple control circuit consisting of dual volume controls and a master tone control. This combination helps to produce exactly the same sounds that have made the Jazz Bass one of the most played bass guitars in the world. This setup is joined by a three-ply white pickguard, a standard four-saddle bridge knurled flat-top control knobs and a set of standard open-gear tuners. Big sound for small money! Do you want to have a real Fender sound and cant pay a lot of money? This bass is a beautiful choise! The sound of legendary Fender Jazz Bass recognized from the first note! Unfelivable sound for that money! It sounds great, looks great and cost great too! Is Fender the best choice? Well, Fender is good at making pretty much every instrument there is, such as this bass. I got this one as a present and I thought this was going to be just like my old ones, but I was wrong. This bass had an amazing sound and thought this had cost a lot, but it didnt! I was amazed with this bass quality/price.